This is an origin story to one of the many characters in my first published novel, The Z Word, available here both in paperback and for the Kindle. Follow us on Facebook as well! Marie happily ignored the doorbell as she played with her Nintendo DS. Her mom and dad called to her to answer it, but she pretended not to hear and then threw on her headphones so it would look like she couldn’t have possibly heard them over her game. If she’d only kept them off, she would have heard the screaming. After another half hour or so of taking care of her virtual dog, her stomach growled so she threw the game onto her bed and ran to the kitchen for a snack. She grabbed a banana and jar of peanut butter before she noticed the odd crunching sound coming from the foyer by the front door of her family ranch home. As she stopped and listened to the odd sound curiosity got the better of her and she went into the living room for a quick investigation. She saw Grover, her dog, hiding under the couch, his little tail sticking out, and a muffled whimpering coming from the little guy. As she turned into the foyer, she dropped the banana to the marble floor. Her parents were both attacking the mailman, tearing at his flesh and apparently eating it. Her father had his severed arm and was biting a finger off when he noticed her. He froze for a moment, like a kid caught eating sweets right before dinner, and then growled. “Dad? Mom?” They both turned on the ten-year-old and lunged for her, causing her to fall backward onto the floor. Her mom’s bloody hand grabbed onto her foot and yanked but Marie wiggled her foot out of the sock and tried to pull back. Her dad was too quick for her and gripped her ankle. As his teeth neared her flesh Grover jumped out from the couch to protect her and started barking. He bit her dad’s hand, forcing him to let Marie go. She jumped up and backed away toward her room as both of her parents grabbed Grover and started tearing him apart. Marie screamed and ran to her bedroom as fast as she could, shutting and locking the door behind her. Her bed seemed the safest place, so she jumped into it and hid under the covers, waiting. After a few minutes of silence, scratching started at the door, followed by banging. She screamed again and realized she would have to come up with a better plan. She ran to the window and saw her best friend and neighbor, Joey, walking into his home with his dad. She slammed her hands against the window, and Joey looked over for a second before his dad pulled him inside. Her screams went unnoticed as the neighbors’ front door slammed. She was on her own, and the hammering on the door intensified. She ran to her dresser and tried to push it in front of the door, but her small body couldn’t make it budge so she gave up and threw on a new sock and her sneakers. The banging continued at the door and she screamed at it. “Go away!” The other side was quiet for a second or two before it started again with renewed violence. As Marie threw some things in her backpack a crack appeared in the door, which grew larger with each slam. Eventually her father could see her and started making a sound that made her blood run cold. She was out of time and ran to the window again, leaving the bag behind. That’s when she saw Joey run out, a little blood splattered on his t-shirt. She watched him look at some nearby neighbors who clearly resembled her parents and he ran around his house to the deck between her window and his. He climbed under it and disappeared. She knew she had to go there as well. She turned and looked as the door splintered from its hinges. She yanked the window open, jumped out, and ran straight for the deck where her best friend was hiding. Maybe he would know what to do. 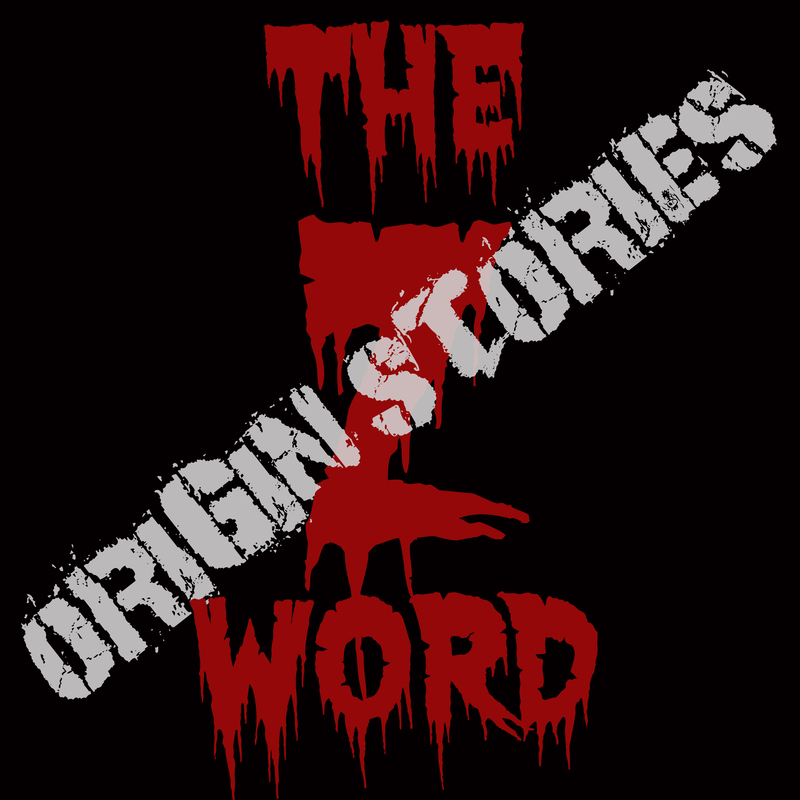 The following story is a prequel to my first published novel, The Z Word. If you enjoy the prequel check out the other prequels available on my blog, like it on Facebook or order the book. “C’mon kiddo, we’d better get back or your mother will kill us both,” Joey’s dad said to him from across the baseball field. “Just a few more throws!” Joey yelled, and his dad just laughed and loosened his tie a bit. “Fine, a few more,” he said. He’d really started to cherish the few minutes they played catch between the time he got home from the office and dinner. Five minutes later they were walking down the street toward home. A man was walking behind them slowly and moaned. Joey turned and looked but his dad pulled his arm. Joey peered over his shoulder at the man and saw the blood running down his chin and an odd look in his eyes as if he were far away. Another tug forced Joey to look ahead of them and their house came up on the right. Joey ran ahead. “Bet I can beat you!” His dad laughed and played along to the front door where Joey was standing bent over, panting. As his father opened the door Joey started to go in when he saw Marie across the yard waving from a window. She looked a bit upset, but a large hand grabbed him and pulled him into the front door. As Joey ran up the stairs two at a time his father went into the kitchen to see what was for dinner. A quick sniff made Joey wonder if anything was being cooked in the house. A change of clothes and a minute in the bathroom had Joey looking like new so he ran back down the stairs, jumping the last four and then looking back at them, impressed with himself. That’s when he heard a whimpering combined with a crunching sound. “Mom? Dad?” he called as he ran around the bend into the kitchen and stopped with a squeak of his sneakers on the linoleum. His dad was sitting on the floor as his mom seemed to be eating his neck. Joey noticed the blood dribbling down her chin and that same weird look in her eyes as that strange man on the street and knew something was wrong. She stood from his father, the man’s body limply falling to the ground, and started in Joey’s direction. She growled and he turned and ran for the front door. Outside he noticed a few people wandering around and they all stopped as soon as he let the screen door slam behind him. They all had that same look, and Joey knew he was in trouble. He thought about places to hide, somewhere they would never find him, and his mind went back to the game of hide and seek he’d won, beating all of his cousins, even the older ones. He knew just where to go. Come back tomorrow for the story of Marie, and who knows, maybe even a continuation of Joey’s story…where will he hide? Will Marie survive too? Find out tomorrow! This original print, along with many others, is available on my Etsy. Make sure to check out my new novel, The Z Word, available here.